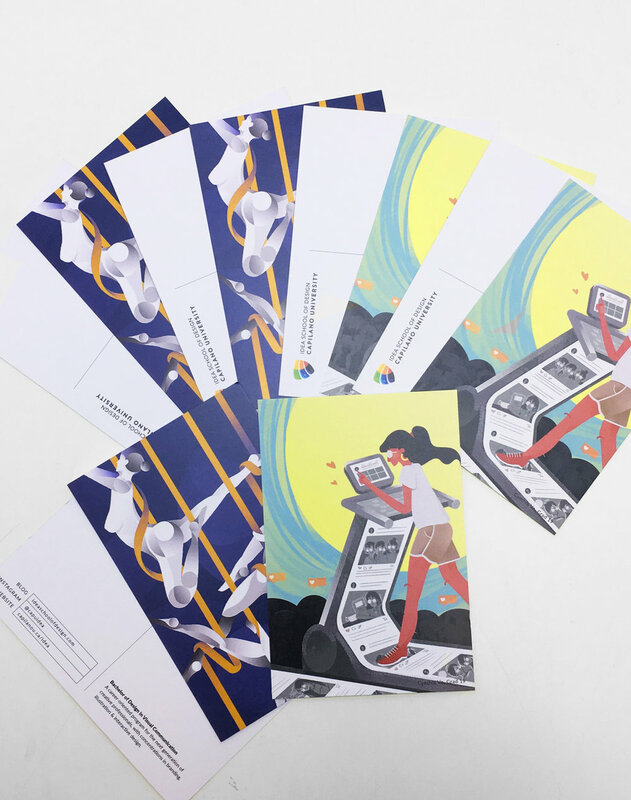 I had the privilege of having two illustrations printed onto postcards for IDEA School of Design. One of the illustrations is titled Intertwine (shown above), it was done during my second year for a class project and poster show (Reflections). The theme for the poster show was body, and for my piece I illustrated the beauty of aerial silk. This illustration was for Jeff’s 2nd year illustration class. It was based on a Sci-Fi short story about two clairvoyants who fall in love, knowing that they’re doomed, and how both have different ways of approaching it. It was challenging because it was my one of my first times doing a digital illustration, so it was brand new territory, but I’m proud of the outcome! The second illustration I had printed was from the Capilano Courier. Over the summer, I reached out to Rachel Wada, the art director for the Courier, regarding any opportunities of doing illustrations for them. After doing several spot illustrations for the Courier, I was given the opportunity to do a cover. The feature article was, "The good, the bad and the grey areas of Instagram fame - exploring what it means to be an influencer," so for my piece I played with the concept of chasing fame and social media running our lives.